The DUB-C2 USB adapter is designed to upgrade notebook PC and Mac to USB 2.0. Many notebook computers are currently not yet equipped with USB 2.0 ports, while the number of USB 2.0 supported devices available in the market is increasing. This adapter easily adds USB 2.0 ports to your computer so you can access these peripherals and digital devices through the fast USB interface. 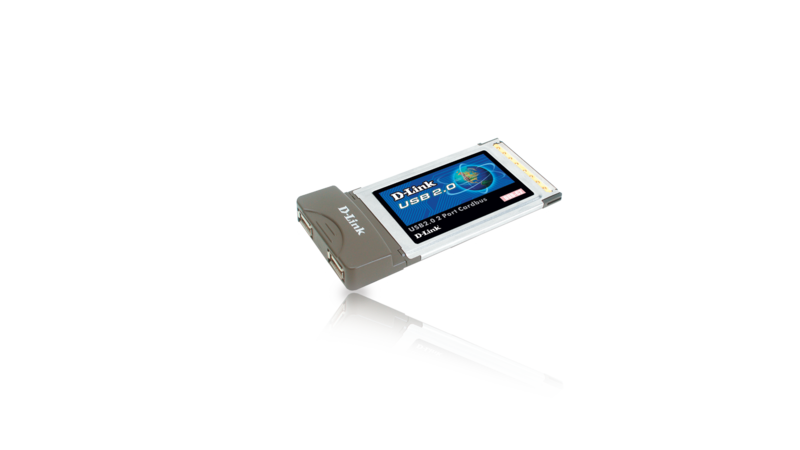 The DUB-C2 USB adapter is designed to upgrade notebook PC and Mac to USB 2.0. Many notebook computers are currently not yet equipped with USB 2.0 ports, while the number of USB 2.0 supported devices available in the market is increasing. This adapter easily adds USB 2.0 ports to your computer so you can access these peripherals and digital devices through the fast USB interface. The card simply plugs to a PCMCIA slot on your computer to give you two USB 2.0 ports. Each of these ports gives you transmission of up to 480Mbps. That's about 40 times faster than USB 1.1, the earlier USB specification. Many USB 2.0 products are now beginning to be out in the market, so you'll need this card to get fast connection. The two ports provided let you plug to USB-supported devices and USB hubs. The adapter supports low-speed 1.5Mbps devices, full-speed 12Mbps devices and high-speed 480Mbps. Each port creates a bridge between the attached USB peripheral or USB hub and the host computer. Each of the two ports transfers data at up to 480 Mbps. Both ports are backwards compatible with USB 1.1, so you can use all of your older USB devices as well as the new USB 2.0 products.